We are JUST a Group of Companies. A fashion based group of individual companies offering sales, brands, licensing, distribution services and events. JUST was founded in 2012 by husband and wife team Juls and Steph Dawson who together have over 25 years experience in wholesale, brand management, product design, development, sourcing and manufacture and fashion retail. 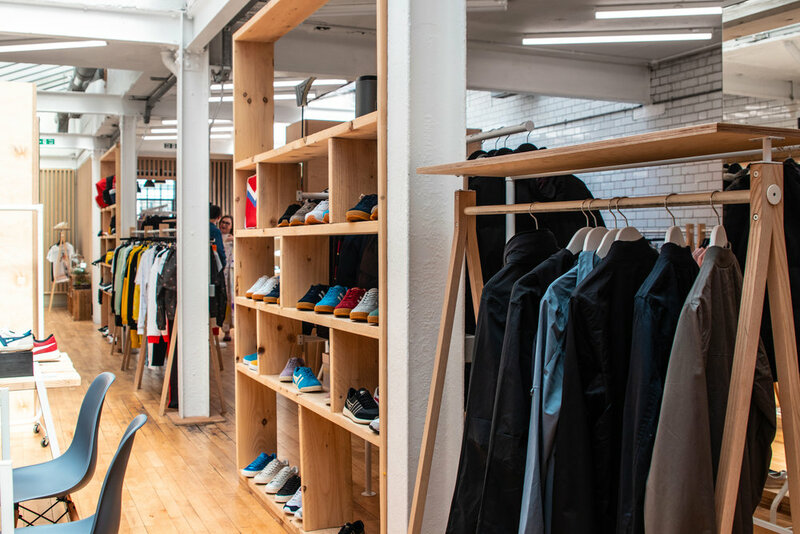 Headquartered in the heart of London’s historic fashion district JUST’s Brick Lane office is a unique, characterful former pickling factory, which has been transformed into a light and modern showroom. A sister showroom operates from the north of England in the equally distinctive Tanzaro House, based in Manchester’s Ardwick Green. The JUST team comprises of over 20 people, including a UK-wide sales team, account managers and merchandisers who together bring a wealth of experience. Their focus is driving sales year on year both within the domestic market and beyond for our partners. Our team is structured to manage the end to end process; from initial sales meetings, to buy sheet and purchase orders, through to communication of orders back to the brands, providing after sales care, seasonal analysis and exploring repeat opportunities. JUST are renowned for our close working relationships with our brands, from launch into the market, advising on credit management and marketing strategies to ensure year on year sales growth. JUST have a proven track record in achieving rapid success for their partners and such have been a Drapers Awards finalist on numerous occasions from 2013 to 2018 winning the ‘Agency of the Year’ award in both 2014 and 2017. Just Around The Corner (JATC) is a non-profit, open showroom event hosted in the heart of London’s historic fashion district. A collaboration between several agencies including 2squared, Just A Group and Gallery Agency, now entering its third season, each event has seen visitor numbers increase dramatically with retailers from the UK and further afield visiting the event space, in the last edition over 150 key buyers visited our event.